Published in the Michigan Certified Development Corporation March 2010 newsletter. View PDF of newsletter and article. Synchron Laser expanded into a facility that better-suited their needs thanks to MCDC. What began as a laser equipment service company in an Ann Arbor basement is now a leader in laser technology with clients all over the world. Synchron Laser’s founder, Norman A. Moon, built some of the very first CO2 lasers used in industry in the early 1970’s while employed at Photon Sources/Luminics, and which quickly became the “gold standard” for later manufacturers to follow. The company became the leader in maintaining this pioneering CO2 laser technology and was looked to for more than just service and spare parts. The company is now run by the founder’s son Brett Moon, who has taken the company to a new level, expanding Synchron Laser into a new facility that better suits the needs of the growing business. While Synchron Laser develops CO2 (and fiber laser) turnkey systems for a variety of applications for companies throughout the world, it also provides custom contract manufacturing services geared toward many different industries – including but not limited to: Micromachining applications, material cutting, heat treating and material welding. While the company was founded on service, today it only accounts for about 10 percent of its work. In addition to standard CO2 and other turnkey laser systems, the company specializes in a patented process which is used to micromachine different materials which are then used in almost all consumer and industrial electronic devices imaginable, such as cell phones, portable gaming systems, High Intensity LED’s, computers and almost any electronic device which requires an integrated circuit. 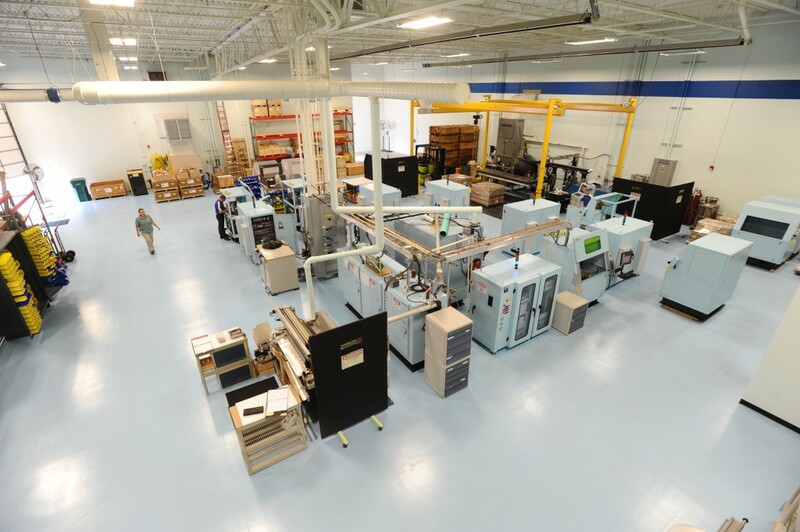 As Synchron Laser continued to grow, the need for a larger facility was evident. After searching for the proper location for nearly five years, Brett Moon found a relatively new facility in Plymouth that was perfect for Synchron. At that point, Brett turned to MCDC and United Structured Finance to assist with the financing to make the move possible. According to Moon, working with MCDC to move into a new location was key to making their surroundings match the high-tech work the company was doing. The professional and high-tech building that now serves as the company’s headquarters has set the company up for future growth and expansion in the laser industry for decades to come.